Even when Alvaro Baeyens-Martin is not working for SWISS above the clouds, he still loves travelling around the world. The Japanese capital of Tokyo took his heart by storm. «It is a phenomenal mix of ancient and modern.» He particularly likes to travel to Tokyo in November and December. «Each district has impressive fireworks and light shows on offer at this time of year. You have to see it with your own eyes», enthuses Alvaro. He is taking us with him for the day, to show us his Tokyo. Along with London, New York and Hong Kong, Tokyo is one of the five largest financial centres in the world, and is consequently a capital city. The city has a unique way of accomplishing the balancing act between temple districts and gigantic, futuristic skyscrapers. You cannot help but gasp in amazement at the mix. SWISS flies to Tokyo (NRT) everyday from Zurich (ZRH). For the perfect start to the day, his first stop is the familiar food chain St. Marc Cafe. This has by far the tastiest chocolate croissants. For all those who would rather have a savoury breakfast: Alvaro thinks that «the hot sandwiches are also to be highly recommended». Alvaro enjoys traditional Japanese cuisine in his favourite restaurant Atsuma. He particularly likes the dish oyakodon: «A bowl of rice with onions, tender chicken and a tasty omelette on top. It’s a total dream!» Or as the Japanese would say: «Oishii!» which is about the same as «delicious». This Japanese culinary delight is accompanied by green tea, but if you prefer something sweeter, try a refreshing melon soda. 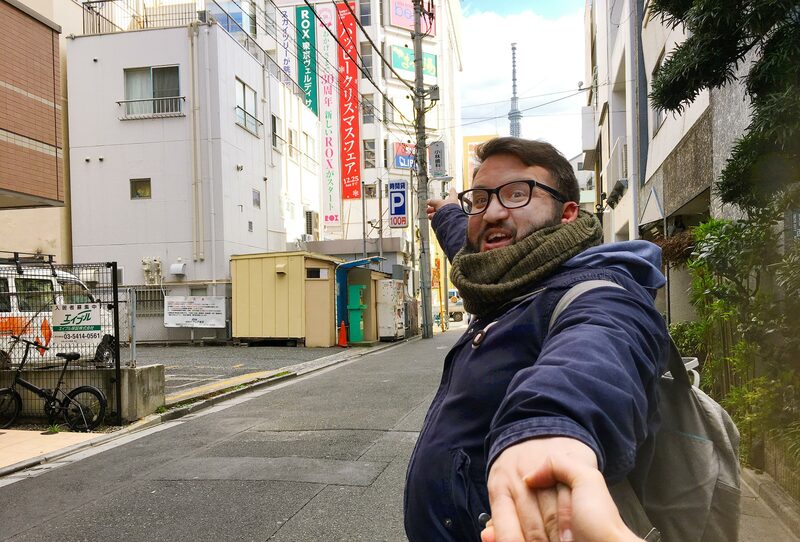 If stretching your legs in the park and enjoying the contact with nature has made you really hungry, Alvaro recommends the “Smile” restaurant on the seventh floor of the Lumine Est shopping complex, which is in Shinjuku station. The fast dining fits in perfectly with the evening’s programme. Because visitors to Tokyo between December and February certainly must not miss the fireworks at Odaiba. «The wonderful spectacle right on the man-made waterfront lasts for ten minutes», enthuses Alvaro. This is also the perfect place to marvel at the impressive Rainbow Bridge in all its glory. You also get the best view over the Tokyo skyline from here.